Features: -Beach Baby registered brand. 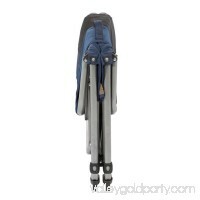 -Complete folding camp chair. 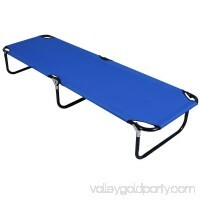 -Convenient cup holder and arm rests. 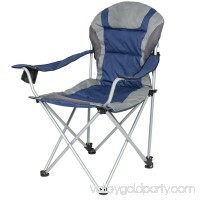 -Dual safety chair locks to prevent inadvertent clos..
Get fantastic comfort in the outdoors with this bungee chair. 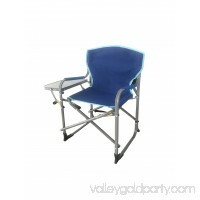 The relaxing bungee suspension provides support and comfort, while the honeycomb mesh back improve..
Best Choice Products is proud to present this brand new Reclining Camping Chair. 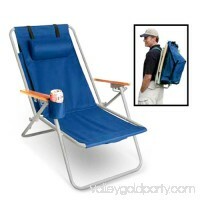 This portable camping chair will keep you more comfortable than any other one o.. Relax in comfort wherever your kids go with this padded armrest Kids director chair. 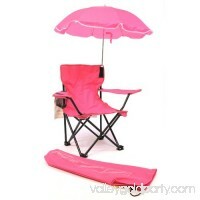 This convenient kids director chair collapses for easy storage and transpor.. The Kamp-Rite Compact Director's Chair is a more portable version of our original style Directors chair. 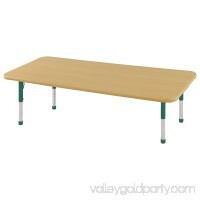 Featuring a side table and recessed cup holder, durable.. The easiest way to carry a chair, the convenient WearEver Chair folds from a comfortable recliner into a backpack so you can guarantee yourself a seat at the en.. 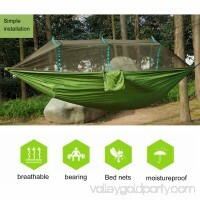 Outdoor Activities Travel Camping Folding Portable Parachute Hammock Anti Mosquitoes Net Waterproof Accessory Search term:Anti Mosquitoes Net, Folding Portab.. 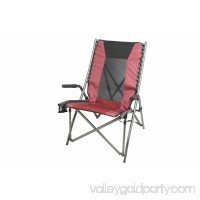 Relax in comfort wherever you go with this Ozark Trail Oversized Mesh Lounge Chair. 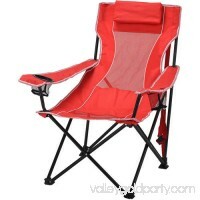 This convenient foldable camping chair collapses for easy storage and transp..